Lush Fab Glam Inspired Lifestyle For The Modern Woman: Red Carpet Inspired Valentine's Day Makeup. Red Carpet Inspired Valentine's Day Makeup. It's the countdown to Valentine's Day and whether you are celebrating with a casual date, a glamorous night out, a romantic evening, attending a singles only Valentine's Day bash or heading to the movie theater to watch 'Fifty Shades of Grey with your girlfriends. 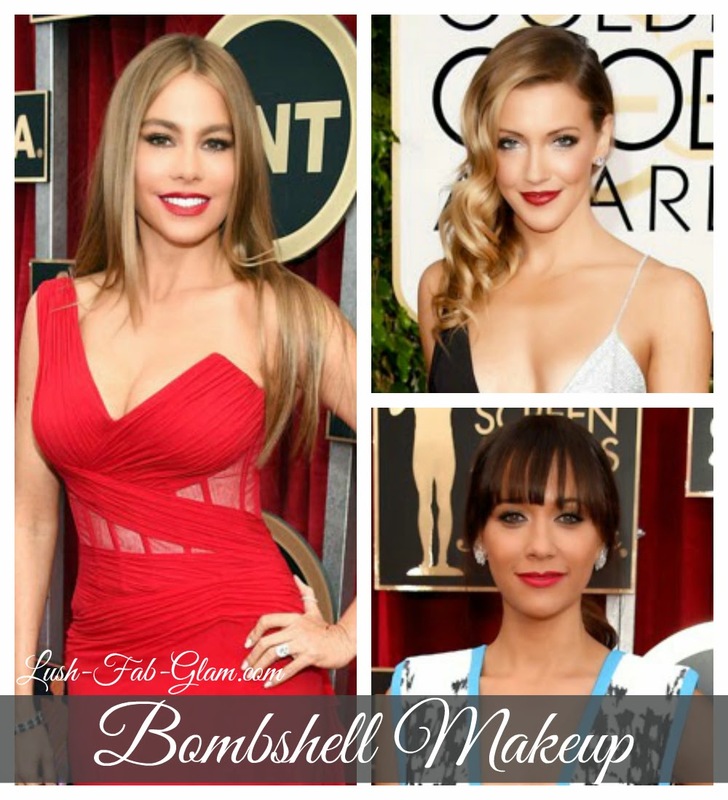 Our red carpet inspired Valentine's Day makeup ideas will help you step out as the gorgeous bombshell that you are. Read on to see them all..
Valentine's Beauty Look 1: Sweet & Sensational Makeup with a dark lined top eyelids and pale peach lipstick or an almost natural lip color. Fab Tip: this look is perfect for a casual valentine date or a first time date. Valentine's Beauty Look 2: Fierce & Seductive Makeup with black cat-eyes, metallic eye shadow and taupe or brown lipstick. Fab Tip: This look is perfect for a romantic evening in Valentine's date. Valentine's Beauty Look 3: Soft & Sensual Makeup with varying shades of pretty in pink lipstick and smokey eyes. Fab Tip: this is a great day time look. Valentine's Beauty Look 4: Bombshell Makeup with smokey eyes and red lipstick. Fab Tip: This beauty look is perfect for a glamorous evening date. Which red carpet/celebrity inspired Valentine makeup do you love? Share with us by leaving a comment below.